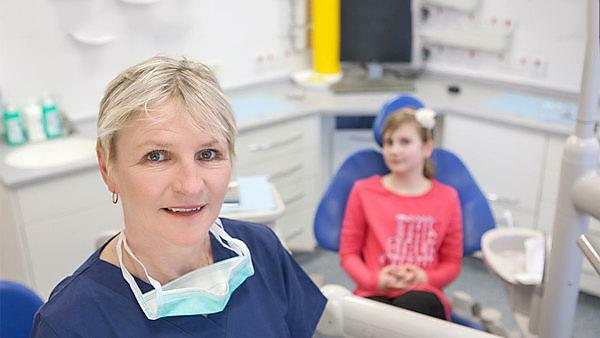 Professor Liz Kay MBE, Foundation Dean of the Peninsula School of Dentistry, has been announced as the new president of the Oral Health Foundation. She will start her new two-year role immediately, combining her presidency with her work at the University, and leading a research review of oral health promotion for the National Institute of Clinical and Healthcare Excellence. "I have supported the Oral Health Foundation for very long time and I am honoured to be elected president. I believe my appointment comes at a time of transition for oral health. "I sense real possibility of an important shift in the profile of oral disease; it’s possible we are on the cusp of recognising oral health as a window to the rest of the body, a predictor of future general ill health. This will be a key time for the Oral Health Foundation, where its role in raising awareness of the importance of oral health will really come to the fore, I hope to see this during my time as president." "Everyone here at the Oral Health Foundation is so proud of what we have achieved over the past year. We have seen amazing growth across many key aspects of the charity, such as supporters, online presence and media exposure and I am confident that we have the right team with a mix of knowledge and expertise to build on this even further. "We are immensely proud of what Liz has achieved - to be chosen as President of the Oral Health Foundation is a great recognition of the outstanding impact she's having on the profession." The Oral Health Foundation is the one independent and powerful force for promoting oral health - not only to the public but also to the dental profession, and that's really important.